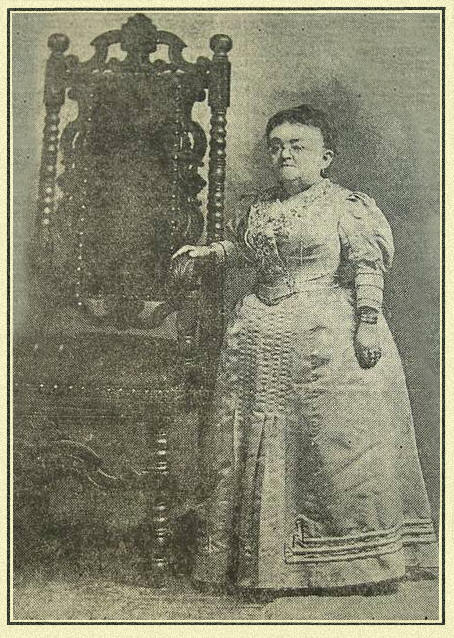 MIDDLEBORO, Nov. 25-Countess Lavinia Magri, Known as Mrs. Tom Thumb Throughout the world by patrons of theatres and traveling shows, and said to have been presented to more members of royal families than any other person, died today at her home in Warrenton village after a long illness. She was 78 years old. 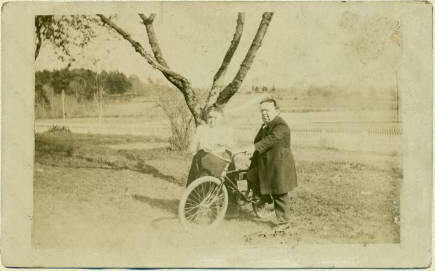 Born in Middleboro, within a short distance from the house in which she died, the daughter of James S. and Hulda Bump, she attended school here. When very young she made her first public appearance with the Spaulding & Rogers boat shows in St. Louis. At the age of 22 she met Charles Stratton, known to thousands as Gen. Tom Thumb. They were married, after a brief courtship, at Grace Church, New York. 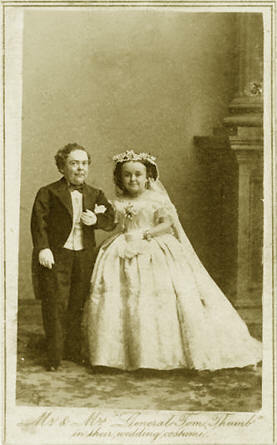 Soon afterward they appeared "as the smallest couple in the world" at Barnum's museum on Broadway. A few years after the couple formed a troupe with Commodore Nutt and Minnie Warren, Mrs. Thumb's sister, and toured England and France. In the former country the performers were presented to Queen Victoria, and in the latter to Napoleon III. Following a visit to Egypt the troupe toured the world. It had been traveling constantly for four years, when Minnie Warren died and the Thumbs and Commodore Nutt returned to America. While Gen. and Mrs. Thumb were playing in Milwaukee in 1883, he was taken sick and brought to Middleboro. He died shortly afterward. Mrs. Thumb then left the stage for a period of two years. In 1885 she married Count Primo Magri, who survives her, in Holy Trinity Church, New Your. They toured the country with a new show company. Count and Countess Magri retired from the stage a number of years ago, although they have appeared from time to time in local productions given for charity. Countess Magri was a member of E. W. Peirce post, W. R. C., of the town the order of the Eastern Star and the Daughters of the Revol-ution. She was for many years a Christian Scientist in faith. She was especially fond of children and frequently stopped to talk with them in theatres and on the street. She had a great hobby for thinking up mottoes. Her philosophy of life was: "My life has been one of many hardships and deprivation of seeming pleasures in the society of home, yet I felt it my duty to fill my mission as I saw it-providing pleasure and entertainment for men, women and children."